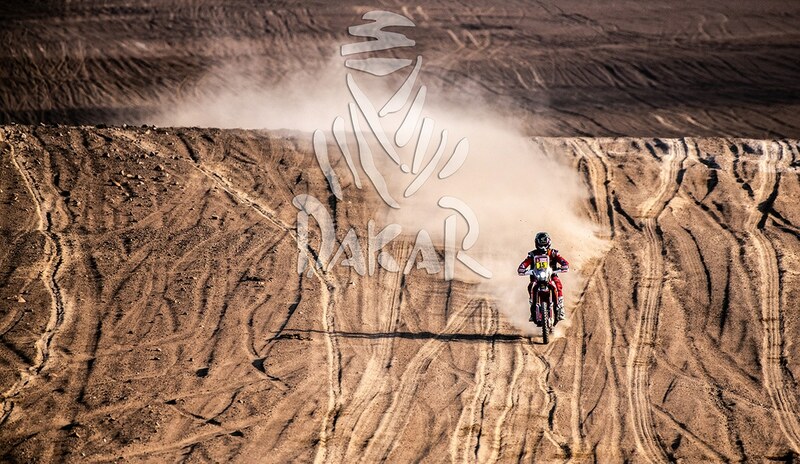 In the Dakar rally of 2019, it seems that winning a stage is the kiss of death for those who hope to win at the end of this week. Pablo Quintanilla, the winner of yesterday’s stage was the first man out on the course today and it wasn’t long before he was struggling to find his way, Kevin Benevidez caught him and soon the two of them were losing time to those who started farther back. For KTM’s Sam Sunterland, it was a fair turn, as he was the one who started first and lost time yesterday. He was able to make up time in a big way, winning the stage and almost erasing his previous mistakes. Third today was Ricky Brabec, and the American was more than happy to retake the overall lead. Brabec was comfortable over the terrain that included dunes and was fast enough to mark the third best time of the day some 6’30” off the stage winner. Ricky now holds a 7’47” advantage over the nearest second place rival Frenchman Van Beveren. Andrew Short is holding tough in the top 10.